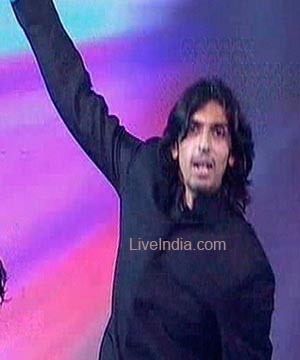 Ishant Sharma (born September 2, 1988, in Delhi, India), is an Indian cricketer, more specifically a fast-medium pace bowler at pace around 140 km/h (87 mph). He has a high delivery action and is able to swing the ball in both directions. 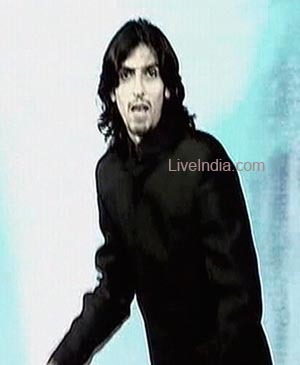 Sharma was called up to join the Indian national cricket team for the 2006–07 Test series in South Africa at the age of 18, though he did not play for his country in the series. However, after receiving the call-up and organising travel arrangements, it was decided to not send for Sharma after all. In May 2007, he was called as a replacement for fast bowler Munaf Patel, for his national side for the second test against Bangladesh, where he has bowled 3 overs so far, bowling one maiden and only conceding five runs, without taking a wicket. Sharma plays for Delhi in domestic cricket and has taken 19 wickets in four first class games, including a five-wicket haul against Baroda on the opening day of a match Delhi drew after failing to bowl Baroda out on the fourth day. He has earned the nickname 'Lambu', which refers to his lean but tall build, measuring 6'4" (192 cm). 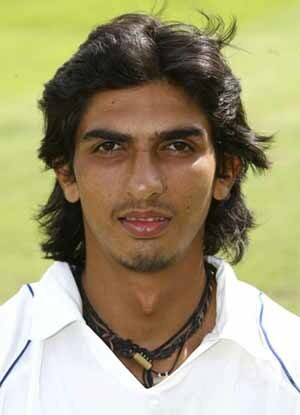 Sharma toured England with the India Under-19s in 2006 and Pakistan in 2006–07. 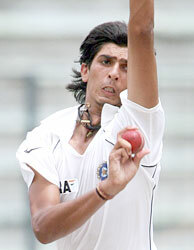 He has played three youth Tests and six youth One-day Internationals for India, and is yet to lose a match for them. In May 2007 ,he was selected in the Test Cricket team for the Bangladesh tour, and then the tour of England in July- August. 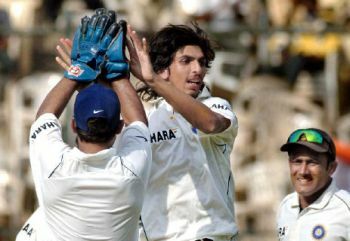 During Pakistan's tour of India in December 2007, Sharma picked up 5 wickets during the third test in Bangalore. In January 2008 Sharma was called up to the Indian side once again to replace an injured Zaheer Khan in the second test of India's series against Australia at the SCG. Sharma started the first day of the match strongly and was involved in a controversial decision from Steve Bucknor when Andrew Symonds clearly nicked the ball to keeper MS Dhoni off Sharma's bowling but was given not out. On the fourth day of the third test in Perth he bowled an exceptional spell to Australia's captain Ricky Ponting that resulted in his wicket and helped India claim victory. The following test played in adelaide on australia day he picked up two wickets. 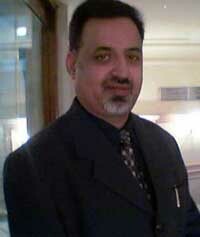 he also appeared in the twenty-twenty match vs australia scoring 3 runs but not getting a wicket.